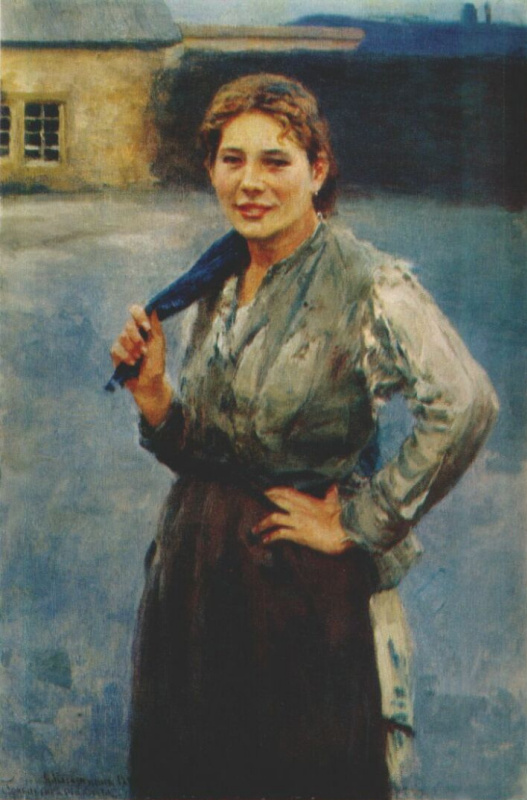 Nikolai Alekseevich Kasatkin (13 (25) December, 1859, Moscow — December 17, 1930, Moscow) — Russian painter-a realist, a member of the "Itinerants society" since 1891, first people’s artist of the RSFSR (1923), one of the founders of socialist realism. He graduated from the School of painting, sculpture and architecture (1873−1883), where his principal mentor was V. G. Perov. 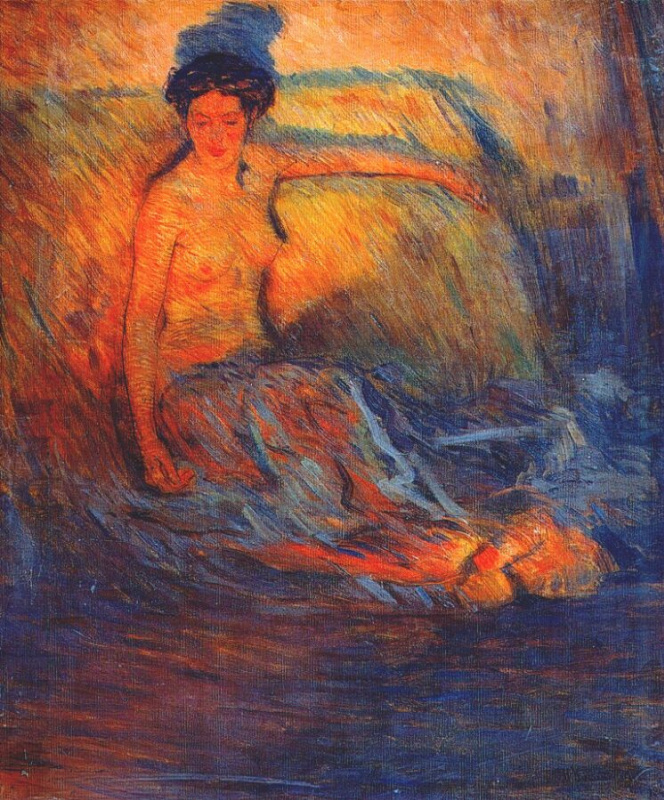 Nikolai Kasatkin was born in Moscow 13 (25) December 1859 in the family of the artist-lithographer A. 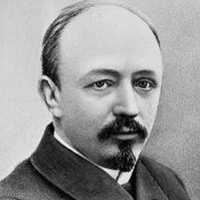 A. Kasatkin. 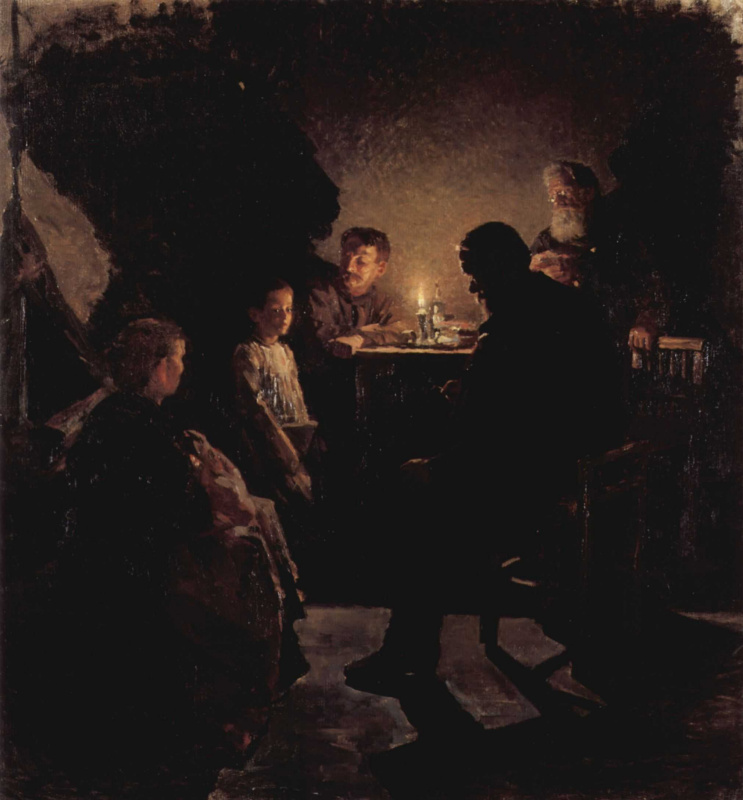 In the years 1873−1883 studied at the School of painting, sculpture and architecture where his teachers were artists-Itinerants Vasily Perov and Illarion Pryanishnikov. Since 1891 became a member of the "Itinerants society". 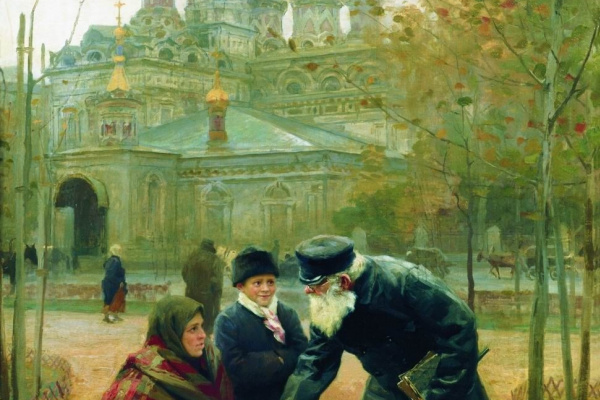 In 1883 Kasatkin received the highest award of the school — a large silver medal and the title of the artist for the painting "the Beggars on the Church porch". In 1894 and 1895 he visited the Donbass. 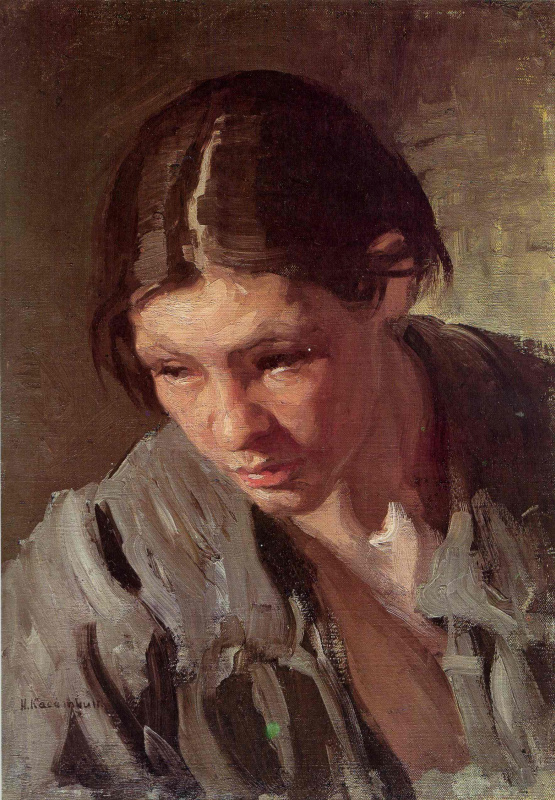 In the years 1894−1917 Kasatkin worked as a teacher in a native School. In addition, after graduation, Kasatkina was invited to work in a publishing house, the largest Russian publisher Sytin, where the artist worked for nearly thirty years, participating in the creation of a "Russian history in pictures", the first desktop calendar and. Art Kasatkina — with its subtle ability to select characteristic facial features, and build a "talking" scenes — shows how romantic everyday life gave way (the most socially-engaged artists) the symbolism of the images that drew the fatal social dead ends. Purely human conflicts (Rival, 1890; Who? 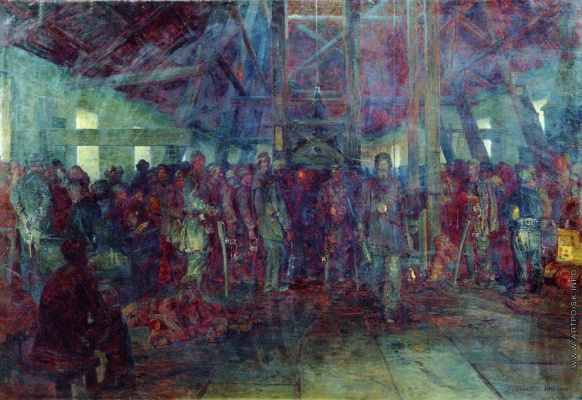 1897) often coexisted in his work with images of the proletariat as victims of industrial "hell", which brought him the mine (Miners. 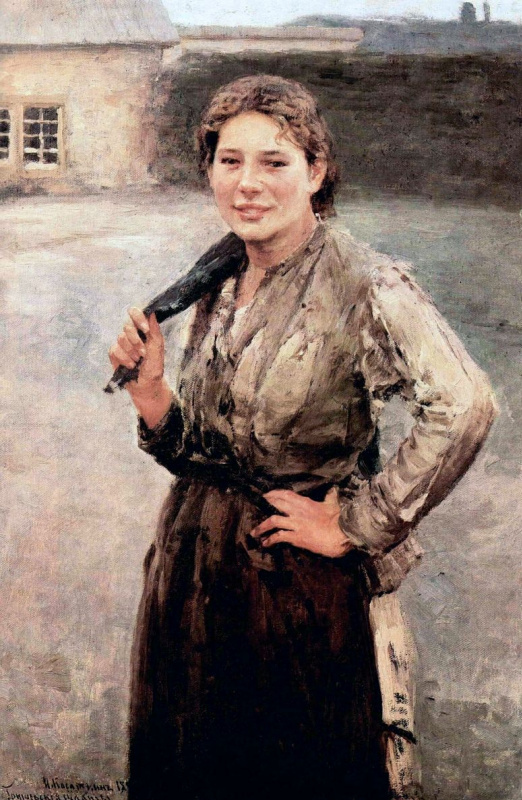 Shift, 1895; all in Tretyakov gallery; the Collection of the poor on waste coal mine 1894, Russian Museum). On the contrary, lyrically impressionistic his Residence (1894, Tretyakov gallery). 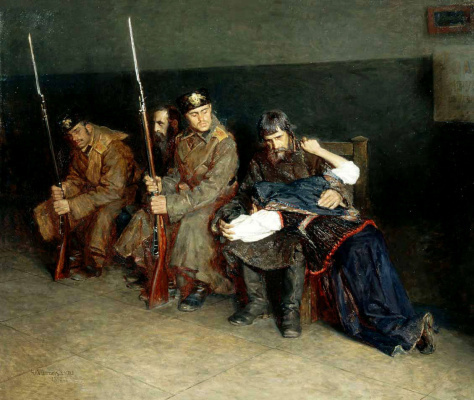 Referring to the events of 1905 in a series of documentary sketches (work and action After a search; both are in the Museum of the revolution, Moscow), has shown a revolution in its everyday, sometimes even in its punitive actions (the Last journey of a spy, ibid., 1905). 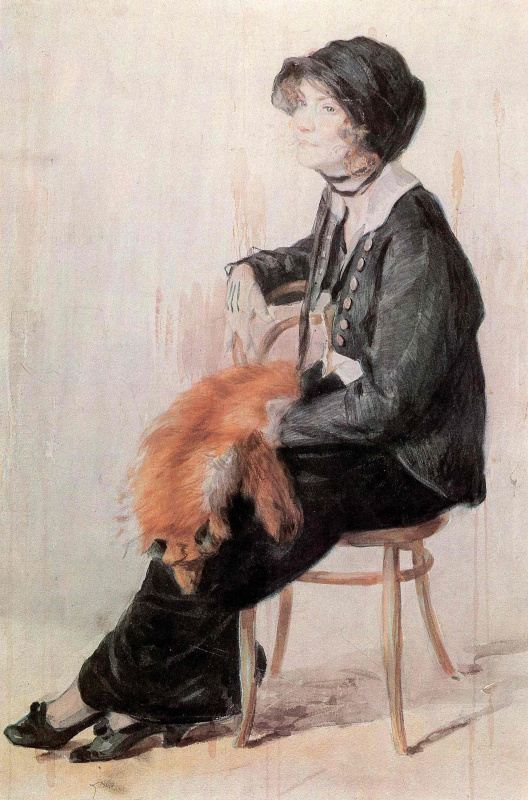 After the October revolution Kasatkin was the first person awarded the honorary title of people’s artist of the RSFSR (1923). 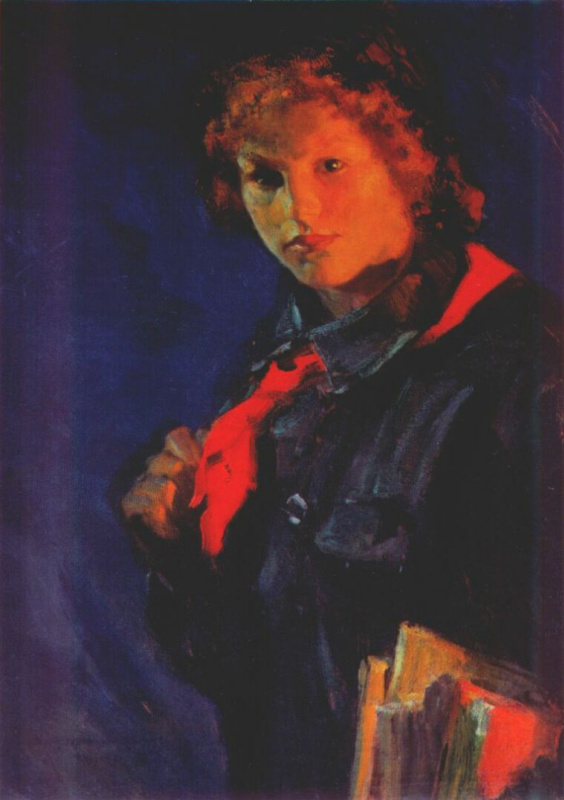 He entered the newly formed AHRR ("Association artists revolutionary Russia", artistic Association, the most numerous and powerful of the Russian creative groups of the 1920-ies). In 1924 he was sent to England to capture the social struggle of the local proletariat. In General attempts to make him "Gorky of Soviet painting" proved to be untenable due to the apparent incommensurability of talents. It is best in the late period he managed some bright image (such as"tuition. Pioneer books" 1926, Museum of the revolution). 17 Dec 1930, giving explanations in the Museum of the revolution to his new film "the Carian tragedy," Kasatkin died.